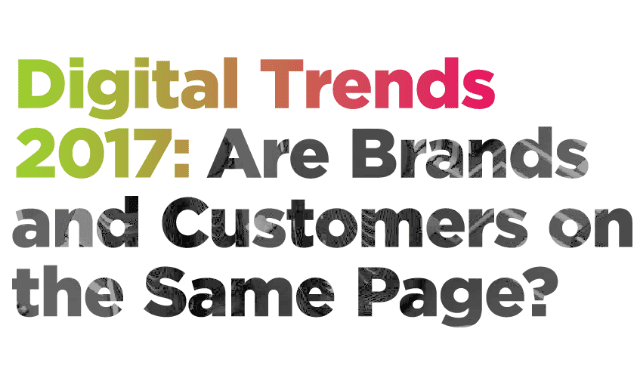 Digital Trends 2017: Are Brands and Customers on the Same Page? #Infographic ~ Visualistan '+g+"
There are some exciting digital trends causing a big buzz in the brand world. But how do customers feel about some of these technologies? And how do they want to interact with brands in this digital space?